Deliver environmental, health and safety information and tools for members. Provide input and direction on legislative and regulatory proposals. Who are the members of the EHS+ Committee? PLASTICS company representatives include safety specialists, corporate directors of safety and training, EHS associates, directors of environmental affairs, product stewardship managers, directors of regulatory affairs and industrial hygienists. What are the eligibility requirements for EHS+ Committee membership? PLASTICS full, associate or service provider members in good standing are eligible to participate in the EHS+ Committee. Representatives must have an interest in worker health and safety, environmental or product regulatory matters, and meet basic participation requirements to remain active. What are the benefits of an EHS+ Committee membership and participation? Combine expertise and perspectives to evaluate and address issues that impact the industry. Exchange information in meetings and on calls. Gain insight from guest speakers on regulatory issues and compliance assistance programs. Learn the latest in state, federal and international regulatory and legislative activities. Stay on top of ongoing and emerging activities within the Environmental Protection Agency (EPA), Occupational Safety and Health Administration (OSHA), National Fire Protection Association (NFPA) and Chemical Safety Board (CSB). 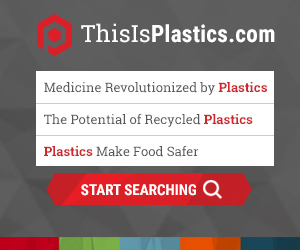 Protect the plastics industry against unwarranted legislation and regulations by providing technical support to PLASTICS government affairs activities, domestically and internationally. Access and develop training tools and resources. Recognize safety stewardship through PLASTICS’ Safety Statistics and Awards Program. Leverage efforts with and provide support to other PLASTICS groups; liaise with other trade associations, codes and standards organizations, and other U.S. and international groups.